Established in August 2002, Blueforce is a leading integrator of security, safety, access control and surveillance systems. Providing turnkey solutions for the residential, commercial, industrial, health and aged care sectors, we pride ourselves on providing dynamic solutions tailored to our clients’ diverse needs. 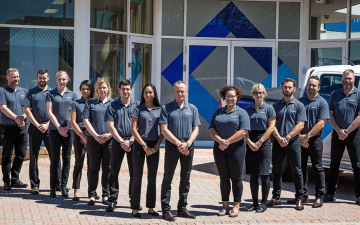 Our consistent growth has led to the inception of our sub-brands – Bluesecurity, Blueassist and Bluecom – allowing us to enrich and diversify our customer focus, while building and maintaining client relationships. We take an ethical approach to business and do not compromise our integrity. What we do and how we do it transcends the products we use. We make informed decisions and take measured risks to move with the times and deliver best practice solutions to our customers, using the latest technologies. Our highly skilled and motivated staff work as a unified team to deliver services to the communities we work in. Backed by our local 24/7 A-Grade monitoring centre, we provide a reliable, consistent and friendly service. With a genuine interest in participating in the communities we serve, we lead by example and continue to support various community and sports programs.